That headline is not about now, but rather a time a year and four months ago, when Joe Biden was considering running for president. As I say here, I understand and respect his decision. 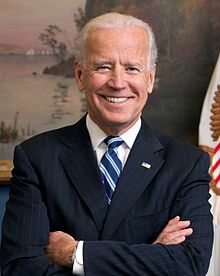 But watching the Presidential Medal of Freedom award ceremony today, I can’t help thinking that the world might be very different if Biden had decided to run. I know how Joe Biden feels. I don’t think I’ve ever used that phrase before, because of course we can never know. But this time I think I’m close enough for horseshoes and hand grenades. Joe lost his 46-year-old son Beau less than four months ago, on May 30. Two days later I lost my 29-year-old son Thomas. Now Joe, at 72, and I, at 69, are trying to figure out how to spend the rest of our productive lives.